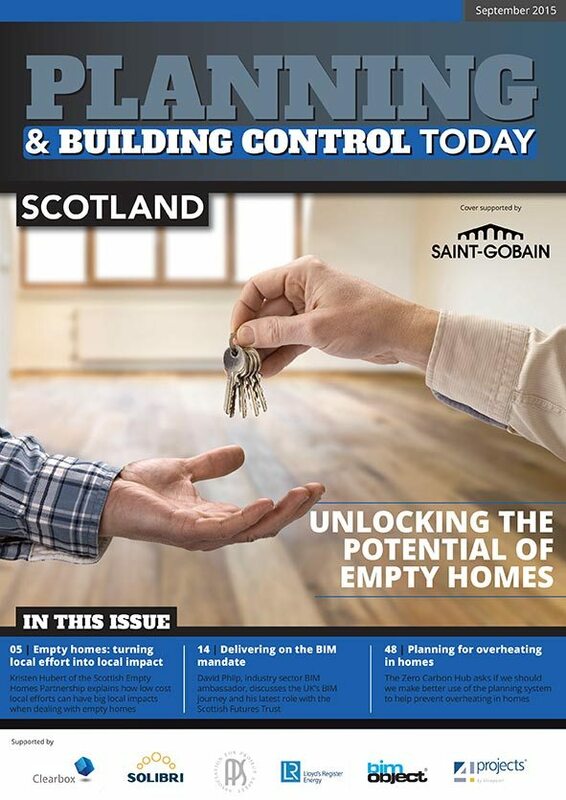 Welcome to the September edition of Planning and Building Control Today – Scotland. In this edition, we take a look at the housing crisis affecting the UK and some of the solutions that should alleviate the problem. Beginning with Kristen Hubert, National Manager for the Scottish Empty Homes Partnership, she explains how addressing the issue of empty homes can have tangible local gains. In Scotland alone, there are over 27,000 privately owned homes which have been empty for 6 months or more and Hubert details how these can be turned around. be subject to contamination or infrastructure constraints that make them too costly to develop profitably, so where else do we build? Amanda Beresford, Head of Planning at corporate law firm Shulmans provides her thoughts in this edition on how the two objectives of increasing housebuilding and protecting the green belt can be reconciled. I’m really pleased to include an exclusive interview with the BIM Champion, Dave Philp. Philp has recently added another title to his job role – becoming the Chair of the BIM Delivery Group for the Scottish Futures Trust. In the interview, we chat about how far we have come in embedding BIM in the construction industry, the PAS 1192-5 standard, skills, accreditation, and why Scotland needs a BIM strategy – detailing how this will be delivered. In addition to the above, we have some really interesting articles from experts such as Raj Chawla, Vice Chair of BIM4SMEs discussing the challenges, issues, and benefits that the SME community face in the BIM process, arguing that to participate is necessary to gain efficiency. construction in dense cities, it will be even more important to consider ways to ensure our homes remain at comfortable temperatures all year round. So as our climate and hot summers become more probable, the Zero Carbon Hub ask if we should make better use of planning systems to help prevent overheating in homes.